Multi-Misting Facial Mist by Pixi Beauty - As Good As It Gets..? HYDRATION. They say a moisturizer is a must to keep your skin hydrated. 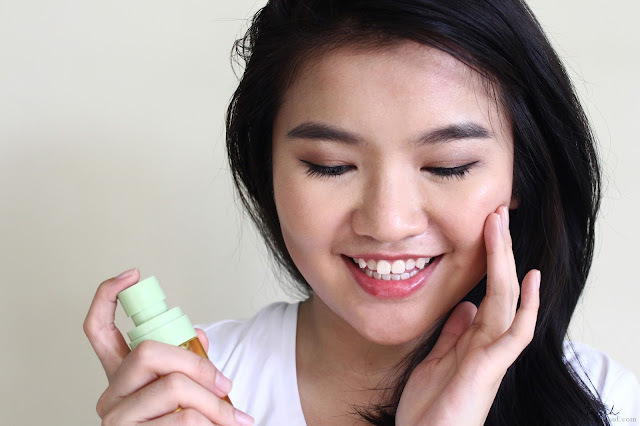 But what if you have oily skin or dry skin that drinks up all the moisture by mid-day ? Well then a facial mist is probably your best option to give you that instant refreshing hydration on the go. Pixi Beauty has introduced 4 new Facial Mists products this summer. So now let's take a look and break it down to see whether these 4 multi-misting facial mists are as good as it gets? multiple hit or just multiple miss ? All-over glow mist for a radiant, dewy effect. 13 natural oils to nourish and moisturize. Featherlight mist provides an instant surge of hydration with hyaluronic acid to plump skin. Vitamin boosting treatment toner mist gives a revitalized awakened effect to complexion. All-over setting spray for longer-wearing makeup. Rosewater & green tea hydrates and protects. You'll LIKE it because it works like an on-the-go moisturizer for your skin, especially the Pixi Hydrating Milky Mist. 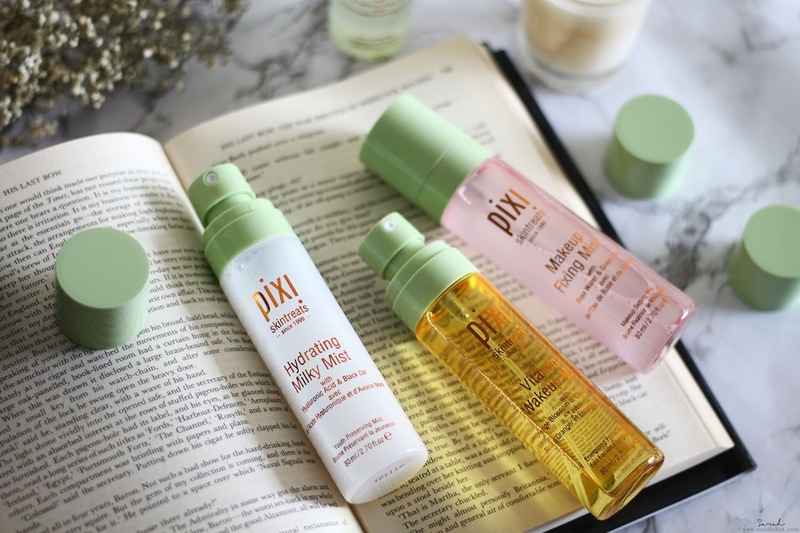 You'll HATE it the Pixi Vitamin Wakeup Mist & Pixi Glow Mist has slightly sticky finish on the skin. 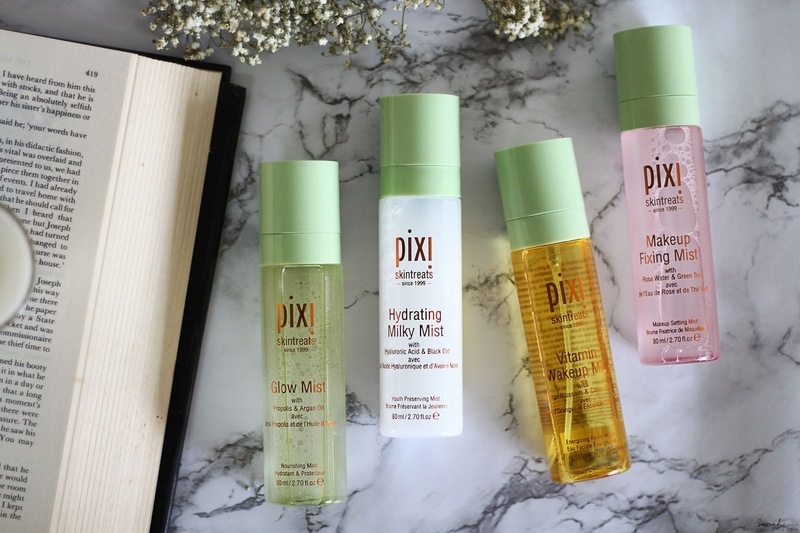 My favourite mist among the 4 has to be the Pixi Hydrating Milk Mist. It's pack with hydration. My skin drinks it up within seconds of spritzing, it's definitely something to put into the repurchasing list..! For something to set the makeup, Pixi Makeup Fixing Mist has you covered. It sets makeup without any tacky feeling and the plus point is the fact that it adds a gentle glow of hydration to the makeup, making it look dewy and glowy. The other two mists that didn't quite make the cut is the Pixi Vitamin Wakeup Mist and Pixi Glow Mist. Firstly, the scent for Vitamin Wakeup Mist is slightly too citrus for my liking but the main reason that this two mists are a Mehh...! to me is because of the tacky finish you get after spraying this on. And you might be thinking that the tacky feeling will go away after a while, but that's not the case, it'll just stay around until you wash your face. When a facial mist leaves behind sticky or tacky feeling, that's a BIG FAT NO. So here you go, My view of Pixi Beauty's new facial mists (Vitamin Wakeup Mist, Hydrating Milk Mist, Glow Mist and Makeup Fixing Mist). Now it's your turn, tell me what you think..?